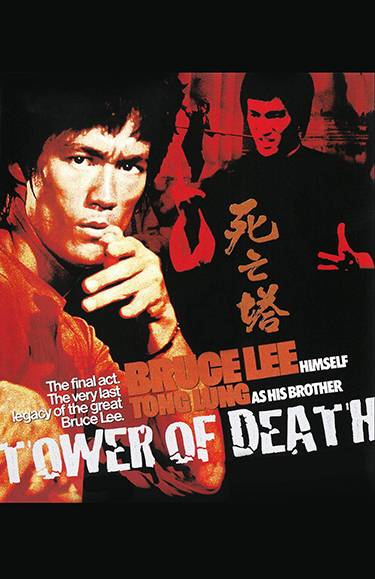 In this dark tale of revenge, Bruce Lee plays Billy Lo, whose best friend Chin Ku (Hwang Jang Lee) dies of a sudden illness. Suspicion of foul play arises when a gang tries to steal Ku’s coffin at his funeral. Billy is killed while he investigates, prompting his younger brother Bobby (Tong Lung) to leave his Buddhist master (Roy Chiao) and find out the truth behind both deaths. His search takes him to Japan where he befriends Lewis (Roy Horan), master of the Castle of Death. But when Lewis is also brutally murdered, Bobby must face the most terrifying of enemies to seek the truth.